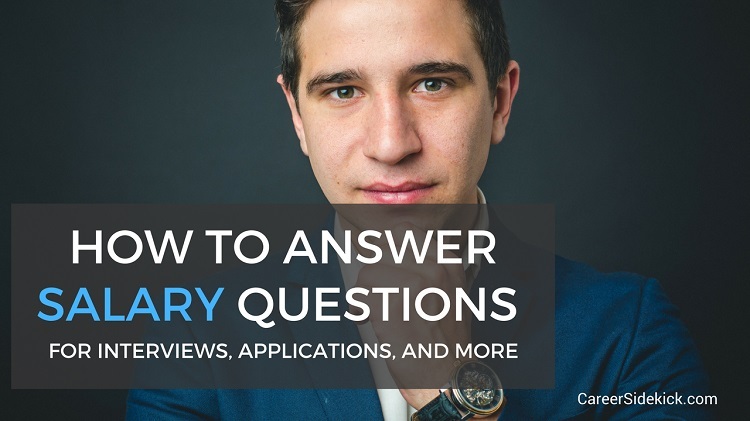 Your goal in an interview is to answer questions in a way that makes your potential value to your next employer as clear as possible. But there is one question you should try to avoid answering: the salary question. Your interviewer is looking to find out if your salary expectations are in line with the amount budgeted for the position. So why not answer the question? There is little to gain and much to lose by tipping your hand about your desired salary too early in the hiring process. Giving an answer that is too high may price you out of consideration, while answering too low may lead your interviewer to believe that you have not done adequate research into fair compensation. Even giving a figure within the budgeted range can limit your ability to negotiate later on in the process! Whether you are asked for salary information in an automated application or a face-to-face interview, there are strategies you can employ to avoid answering the salary expectations question too soon. Even sharing your past salary history can eliminate you from consideration or limit your negotiating power. If asked to include current and past salary as part of an automated application process or pre-screening questionnaire, try to leave the field blank. If you cannot complete the application without giving a response, then try entering a dash or zero. Similarly, if you’re asked to provide your desired salary or expectation as part of an automated application or pre-screening questionnaire, try to avoid providing a figure by entering “negotiable” in the field. If a number is required use zero. If a salary requirement is requested as part of a cover letter, don’t provide one. Providing no answer to questions about salary history or salary expectations can be risky, but providing a figure is potentially riskier. Boxing yourself into a corner when it comes to salary negotiation could cost you thousands over the course of your career. If you are asked to divulge past compensation during an interview, you can say that you prefer to keep that information confidential. If you are asked to name a desired salary figure before you receive an offer, simply state that you are very interested in the job and you’re sure if you are offered the position you will be able to come to an agreement that is fair. Then redirect the conversation to the value you can bring to the role and organization. Another tactic is to turn the question around and ask your interviewer what the budgeted range for the position is. If pressed, or if you believe that you must provide a figure to proceed to the next stage in the hiring process, be prepared to state a range. Before your first interview, research the rate of compensation for the role you are aiming to fill. You can do this by looking at job sites, industry newsletters, and salary surveys, or by using a salary calculator. In addition, research cost of living in the area. Don’t allow your past salary history to dissuade you from declaring what you think you are worth this time around. If pressed, be honest about what you’ve earned in past jobs, but remember that your new salary should be based on careful research of fair market compensation for the role, as well as the value you will bring to it. State your desired range boldly. Don’t be tentative, or offer the range in the form of a question. Then, immediately shift the conversation back to the skills and value you will bring to the role. The most effective way to avoid being pressed about desired salary or salary history too early in the process is to sidestep the preliminary screening process entirely. Whenever you see a position that interests you, check your social network to see if you know anyone in the organization who can forward your resume directly to the hiring manager. Remember that your goal in the early stages of the hiring process is to sell yourself in the role. If you do this well enough you will be negotiating from a position of strength and your next employer should be willing to pay you what you are worth. Know that if you live in certain municipalities, it may not be legal for an employer to ask for salary history. Massachusetts, New York City, Philadelphia, New Orleans and a number of other states and municipalities have banned the practice or have laws that do so scheduled to take effect soon.